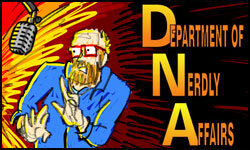 Rob Paterson and Don Chisholm take a biweekly deep dive on their podcast, Department of Nerdly Affairs. Their topics range from Taiwanese comics to Chinese webnovels to hero pulps to indie RPGs. Recently I guested, and we three talked about G.I. 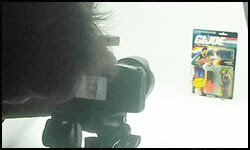 Joe history, toys, comics, and animation. Thanks, gents! Listen here. Had my 16th photoshoot. Editor Nick and I revised and locked the text to Chapter 16. 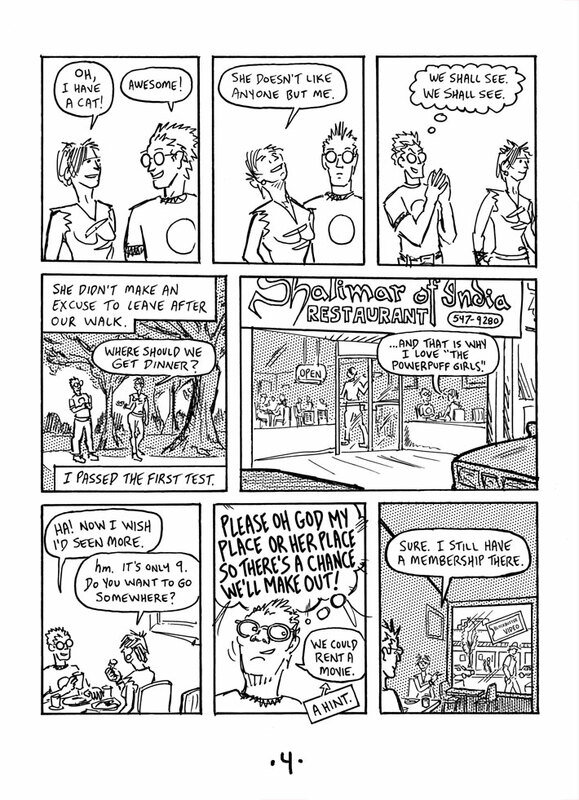 Designer Liz sent me the Chapter 17 layout. Examined spreads and wrote notes back for Chapters 11, 14, 15, and 17. 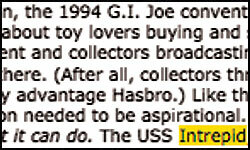 Wrote and rewrote Chapter 19, all about GI Joe Extreme. Nabbed a few more interviews. While I entered the picture in mid 2011, my comic book store predates me a bit. 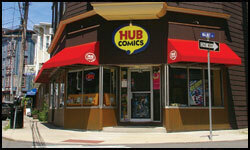 It's a day for celebration, as Hub Comics opened on this day, January 19th, 2008. 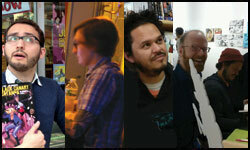 This also marks manager Jesse Farrell's ten-year anniversary with the shop, too! 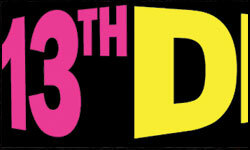 Hub Comics celebrates with a weeklong sale! Renumbered Chapters 12b and 15b and FILM as 13 and 17 and 18. Finished draft 2 of 16 and draft 1 of 17 and sent to editor Nick. Found G.I. Joe treasure in Los Angeles for Chapters 6 and 18, some of which I'd wanted since 2004. Conducted two new interviews and a follow-up. Chatted with Nick about Ch 16. Worked on 18. 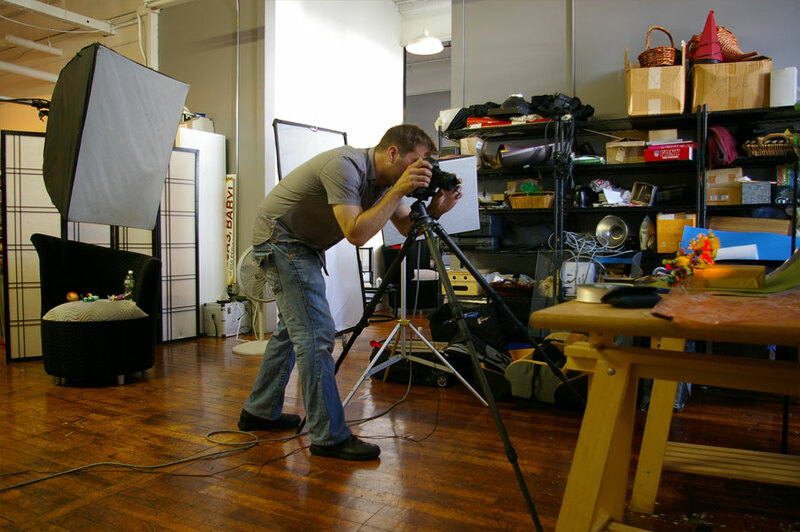 Hope to meet with designer Liz and meet the new photographer soon. Attended JoeCon. Attended HasCon. Will blog about those next month. 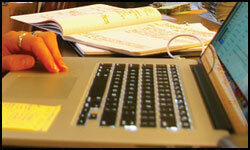 Designer Liz has revised Chapter 9, and sent first passes on Chapters 10 through 12. I'll give comments on 12. She's starting on 13 and 14 now. I'm finishing the text for 15 and 15b, and still working on a first draft of Chaper 16 and Chapter X. 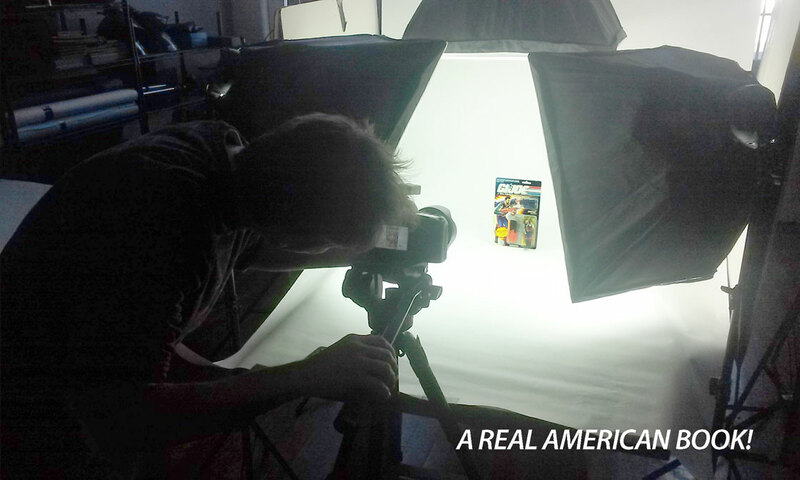 Had two photoshoots with Andre for all these chapters. Logged and transcribed five new interviews. Took notes on Season 2 of GI Joe Extreme. Photo at right by Andre Blais. 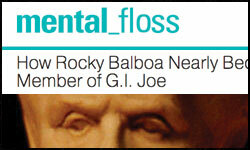 Jake Rossen interviewed me and I provided all the images for this mental_floss article about Sylvester Stallone’s Rocky Balboa “joining” the G.I. Joe team. This summer I had jury duty, but this fall I was finally an expert witness! Read it here. 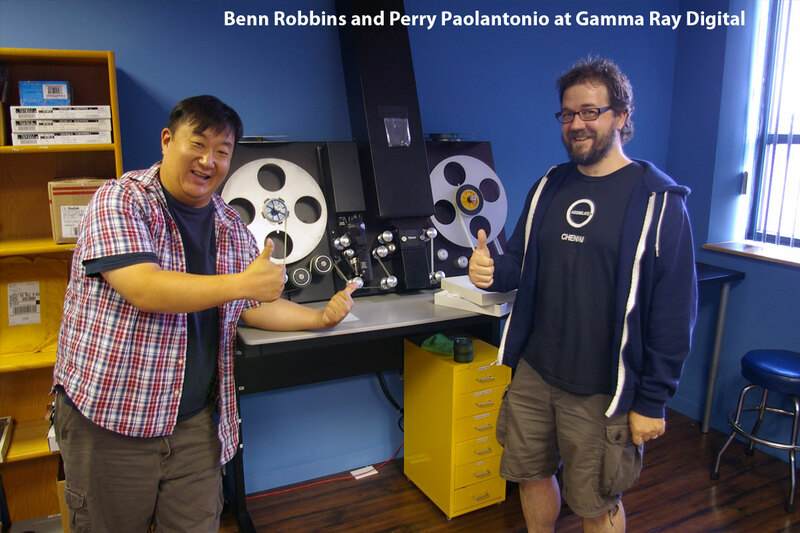 Both the 16mm Original Camera Negative of Circus 34 and the 35mm OCN of Limboscape have been scanned in 4k at Gamma Ray Digital. 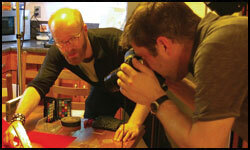 Thanks to restorer Benn Robbins and tech guru Perry Paolantonio! 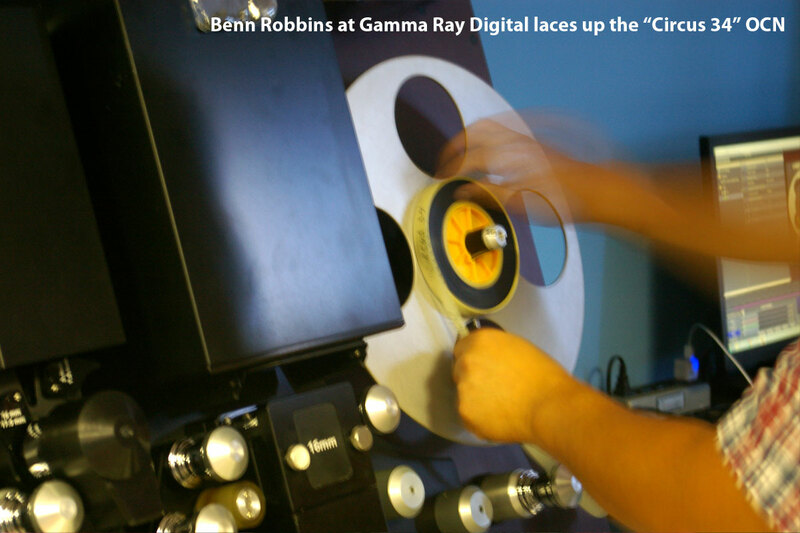 The aforementioned Steve Baldwin at National Boston transferred the original 16mm mag audio to uncompressed WAV files. I'm no whiz at color grading, and I've not handled DPX files before, so HD versions of these films aren't up here, but that is the goal. 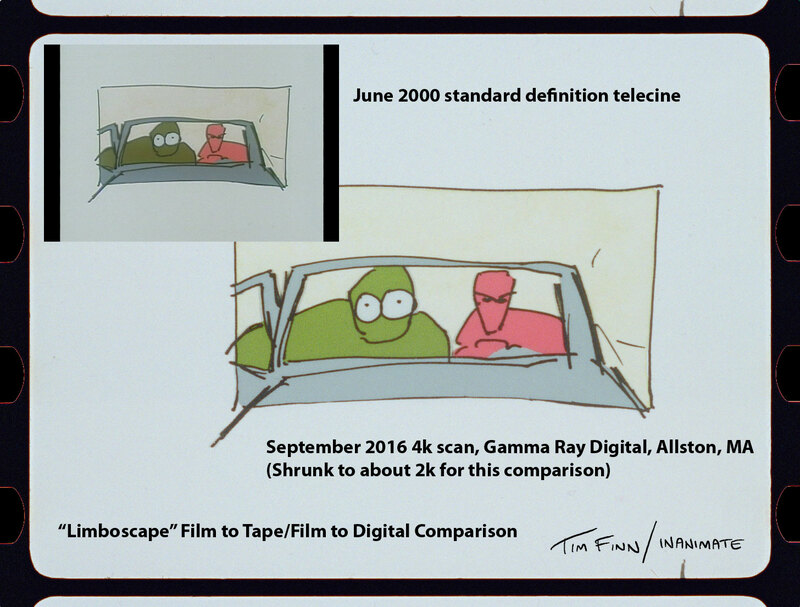 The thumbnail to the right enlarges! It's been six (!) years since I last archived my old work. 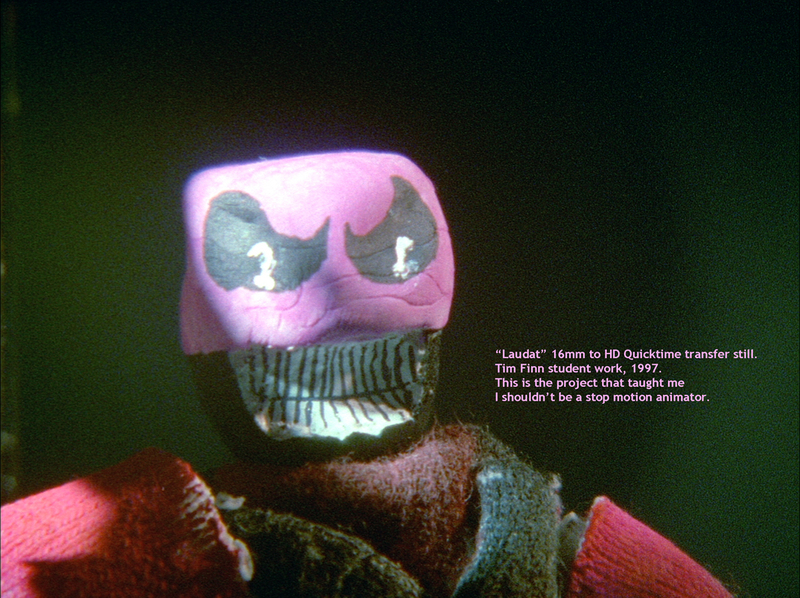 Last month I booked time at National Boston to transfer my sophomore animation work from 16mm film to HD Quicktime. Director of Film Services and colorist supreme Steve Baldwin was great to work with. And it was fun to be at National again -- I was last there in June 2000 for the SD transfer of Limboscape! I need to do another round and then I'll look to getting this work up here at Inanimate. 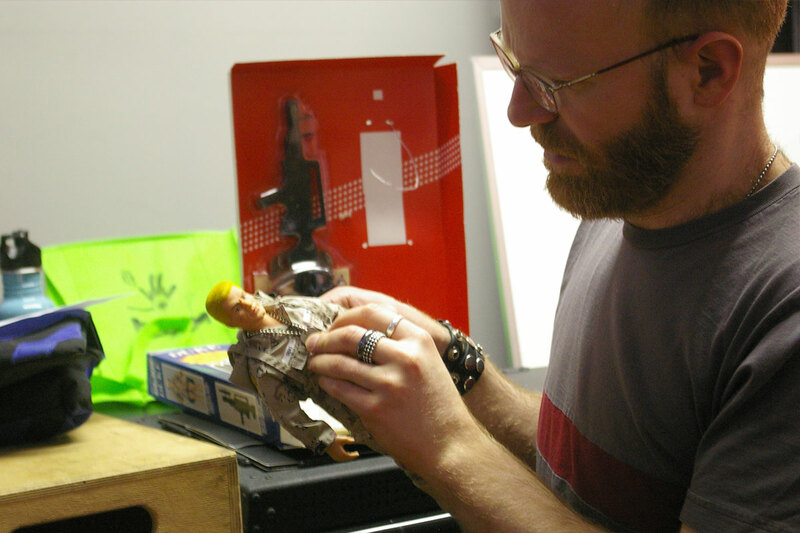 Since the spring I've interviewed two more toy designers. Added four paragraphs to Chapter 9 and sent it and revision notes to designer Liz. Had a photoshoot with Andre for Chapters 10 and 13. Finished writing Chapter 10 and sent it to designer Liz. 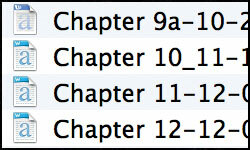 Worked on Chapters 11, 12, 13, 14, 15, and X. Chatted with podcasters. This past Thursday I was interviewed by Dean Compton and Emily Scott about G.I. 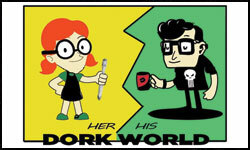 Joe and comic book stores on their show Her Dork World, His Dork World. It's recorded, so if you miss the live broadcast, you can listen to the podcast. 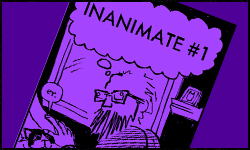 It's been two and a half years since I published a new comic, so I'm happy to announce INANIMATE issue #1, a 50-page black and white minicomic containing two new stories and two stories that aren't new but have never seen print. 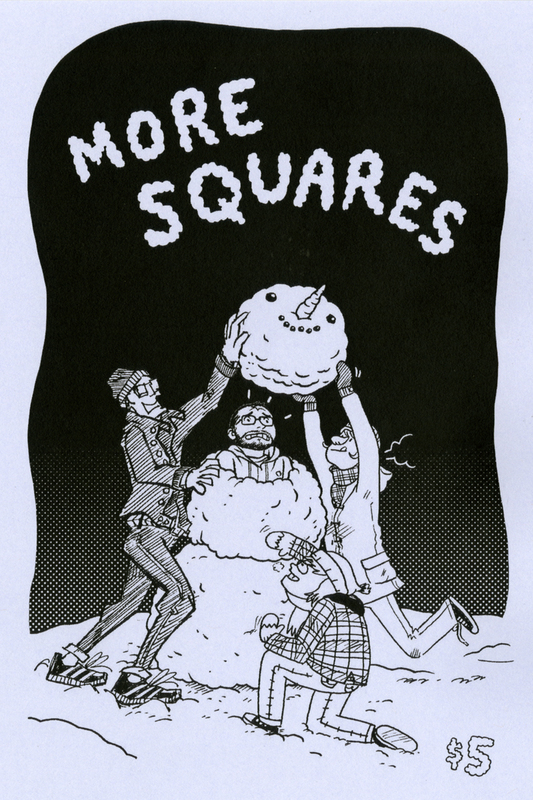 Read it on my tumblr, or buy it at Hub Comics for $6, or here for that price plus s/h. 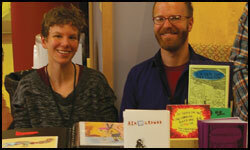 I tabled at MICE (Massachusetts Independent Comics Expo) two weekends back along with Ellen Dubreuil. 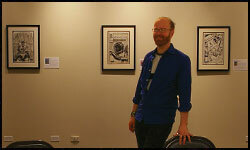 We sold comics and prints, and had a great time chatting with friends and alums. 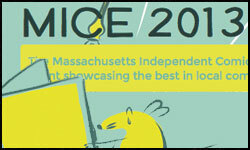 MICE is held at LUCAD, where we both teach, and in its sixth year has become a big, vital part of the indy comics convention circuit. On display now through October 18 at the Raizes Gallery at Lesley University College of Art and Design -- Covers, Pages, and Ads: Mainstream Comic Book Art of the 1980s and '90s. Original cover and interior art from Teenage Mutant Ninja Turtles, G.I. Joe, Transformers, Detective Comics, Amazing Spider-Man, and more. Kate Castelli hung most of the show, big thanks to her. I have entered 2012! 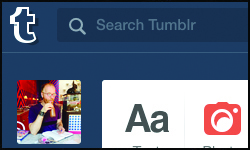 Now I have a Tumblr. The name's similar to "Inanimate," but with an added pun. I'll post sketches and doodles there since the "Sketchbook" section here has been lying fallow. Finalized the text to Chapter 9 and sent it to designer Liz. Thinking about Gary "Goggles" Head. 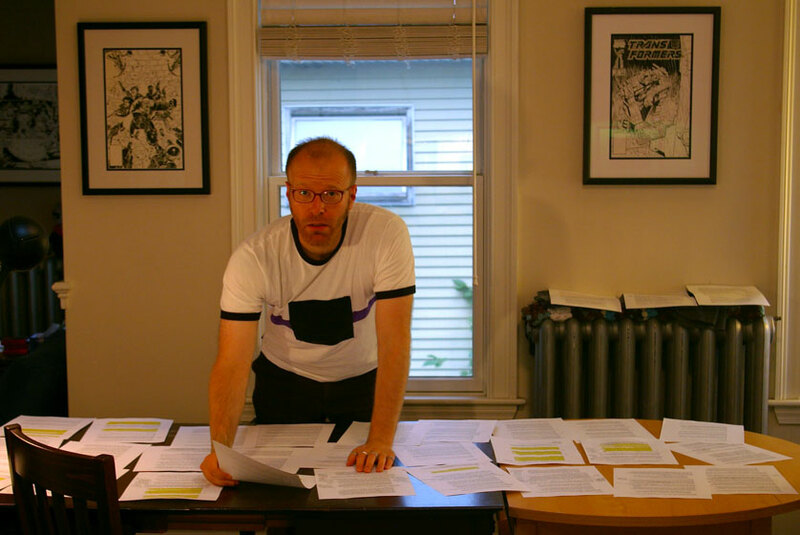 Reviewing the second-to-last draft of Chapter 10 with editor Nick. 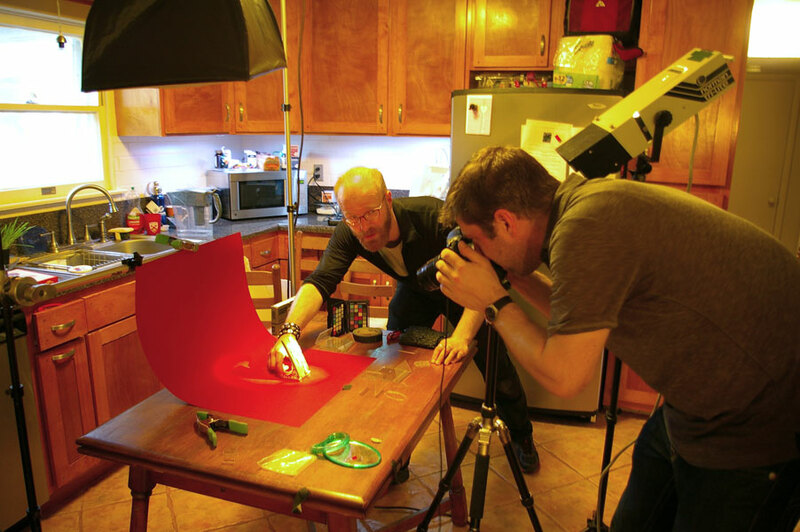 Photographer Andre and I flew to Texas to shoot the collection of Chris Murray, who took the photo at right. Thanks, Chris! Most links here on the front page of Inanimate take you to my blog. This one's no exception. 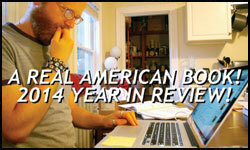 Two weeks back I wrote a lengthy explanation-and-list of what I did for the book last year. But there are pictures, too. It's here. In August, I flew to Chicago to let a smart G.I. Joe fan read Chapters 1-10 of my book and offer feedback. 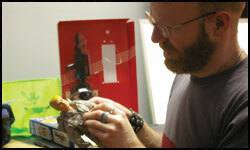 In October I visited a fine artist who sculpted for Hasbro. Later I drove to Rhode Island for a follow-up with a vehicle designer, and trained it to NY for a chat with a famous toy developer. I also telephoned some movie types for a helpful interview. 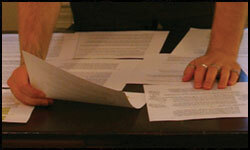 Recently, editor Nick has taken passes on Chapter 9 Draft 6, Ch. 10 Draft 5, Ch. 11 Draft 3, and Ch. 12 Draft 1. I'll incorporate his comments, plus I'm writing Draft 1 of Chs. 13, 14, 15, and X. It's been a great year for Hub Comics. In May, Joe Quinones signed for the release of Zatanna and Black Canary: Bloodspell. In August we rented the Brattle Theatre for Liz Prince's Tomboy release. Back at the store, three days later we opened our Sailor Moon art show. In November we hosted Raul the Third for Lowriders in Space, and then two weeks later set up at Suffolk University's NESAD gallery to sell copies at Raul's artist talk. And finally, this Saturday December 20th is the opening of Hub Comics' 6th annual Dark Knight on a Dark Night. Flew to Los Angeles, chatted with Wally Burr and Larry Houston again, and Larry and I visited his local comics shop. Also, I interviewed a former Marvel editor. Back in Boston I talked with a lawyer about Fair Use. 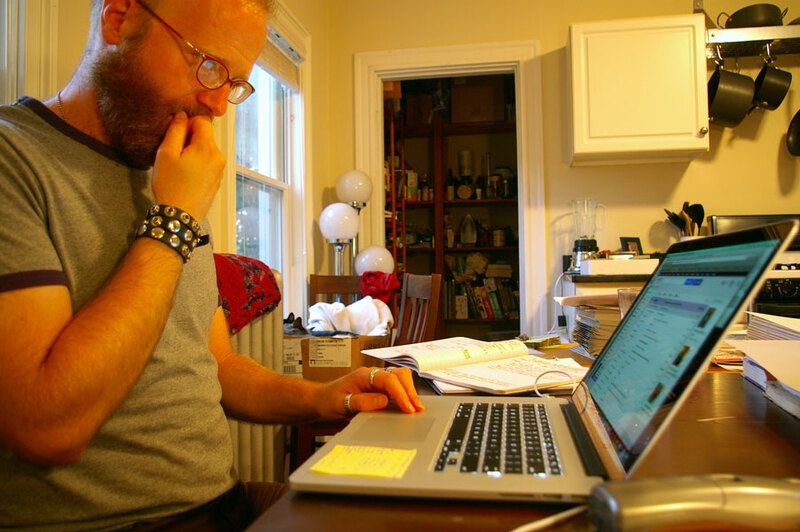 At home and at the library, I broke Chapter 12 into two, am shaping draft 1 of Chapter 14, and am trying to track down the last five or ten interviewees I need for the book. 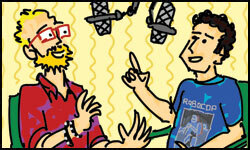 Clay N. Ferno and I chat about Hub Comics giving away G.I. Joe #200 and Joe collecting. 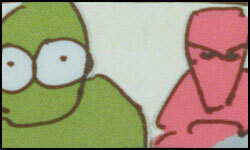 Over at my blog, I have a post mortem for the Hub Comics giveaway. Over at my blog I've posted two different film reviews of the live-action G.I. Joe sequel. The first is my written review (with pictures!) 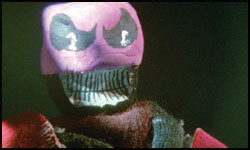 of the theatrical release. The second is an audio podcast of the director's cut featuring myself and book editor/smart person Nick Nadel in conversation. What did we think? You'll have to click to find out. 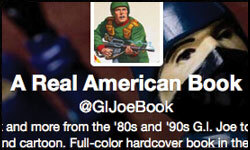 Get updates and read pithy announcements @GIJoeBook. The Massachusetts Independent Comics Expo is September 28 and 29th -- two days this year! I'll be sketching commissions and I'll have on hand Jet Brick, Four Squares, More Squares, Gore Squares, and TransSpoof! What's TransSpoof, you ask? Why, that's the embarrassing Transformers comic I drew between 8th grade and two-years-after-college! Made contact with four more interviewees, one has responded so far, another I've already interviewed and transcribed (and now the first two pages of Chapter 12 need to be rewritten), and am still working on Chapters 10, 11, 12, plus now assembling early material for 13. 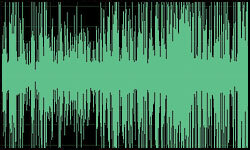 At right, a waveform of part of the four-hour interview I conducted in Los Angeles in July. 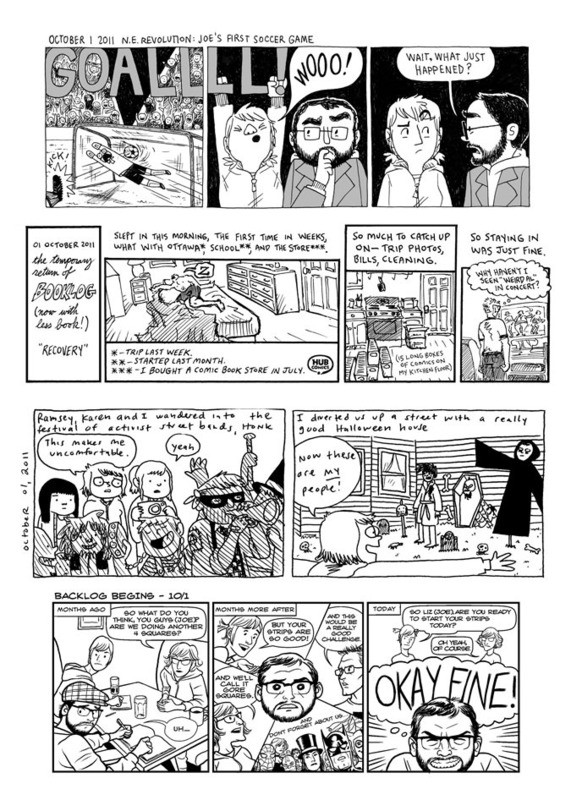 Hub Comics manager Jesse Farrell quietly wished me a happy anniversary two weeks back, a poetic reflection of our less frenetic second year as renovations and stock curating have calmed down. Thanks to Jesse, as well as employees Dave McCarthy and Jack Turnbull for their hard work and dedication, along with designers Kelly Wilbur and Matthew Davis of Wilbur Davis Studios for all the lovely furniture they've made (Archie Tower, Giant Bookcase, Dollar Rack). 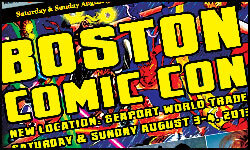 Boston Comic Con is two weeks away, August 3 and 4! Working on Chapters 10, 11, and 12. 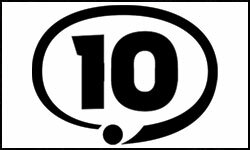 Did a follow-up interview to clarify content in Chapter 12. Visiting someone on the West Coast to look for storyboards. At right, sometimes I need to see a whole chapter laid out in order to work on it.